Krakow hosted the 16th OYAMA IKF International Seminar on occasion of 25th Anniversary of OYAMA KARATE IN POLAND (1991-2016). Two day seminar gathered 270 instructors and participants from Poland, Russia, Germany, Denmark, Hungary, Norway and Great Britain. Meeting was organized with a financial support of Municipality of Krakow. Exam was conducted by Hanshi Jan Dyduch 8th dan. Hanshi was assisted by Shihan Andrzej Pierzchala 7th dan and Shihan Pawel Pajdak 6th dan. Saturday was reserved for the people under 35 y.o. and Sunday for people over 35 y.o. During the opening ceremony, President of OYAMA IKF - Hanshi Jan Dyduch, handed certificates and black belts: 7th dan- Shihan Andrzej Pierzchala (Krakow), 6th dan- Shihan Pawel Pajdak (Sosnowiec) and Witold Choiński (Bialystok). 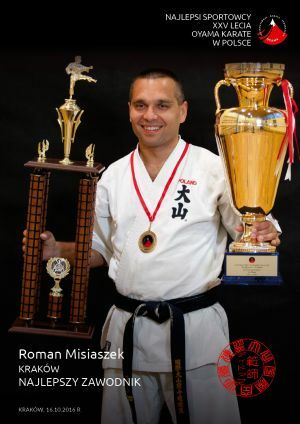 Shihan titles and 5th dan were handed to Andrzej Tomialowicz (Lubsko) and Bogumil Plewka (Lubliniec). Sensei Jaroslaw Maciejewski (Denmark) have been awarded 4th dan. Our sincere congratulations. OSU! Both groups, under and over 35 y.o., were tested for many hours during the technical part. Each group presented technique, combination, kihon kata, advanced kata and formal kobudo (weapons kata - Bo, Tonfa, Sai). 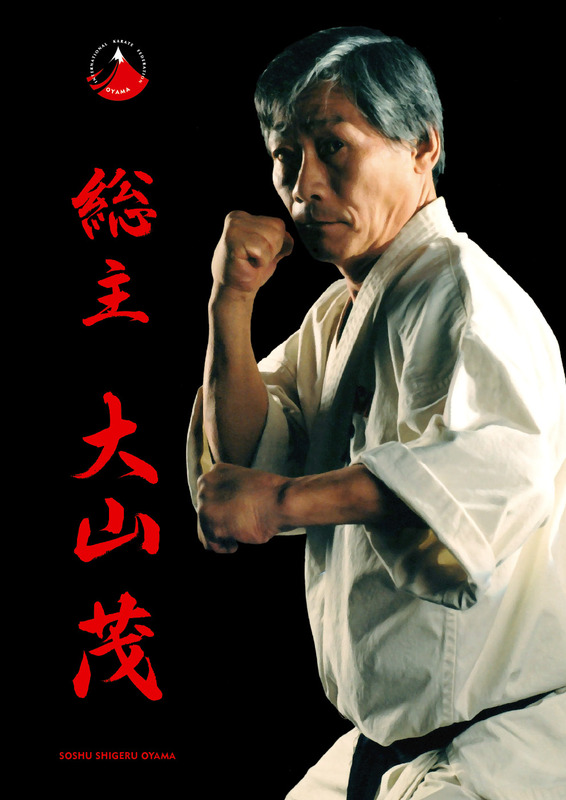 During the practical part - kumite, candidates, especially those for the 1st dan, fought hard fights with changing opponents. Seminar ended with a party on occasion of the 25th Anniversary of Oyama Karate in Poland with chief of clubs and invited guests. During the party Hanshi Jan Dyduch handed numerous plaques. Winners of "Award for the best Sportsman of 25 years of Oyama Karate in Poland" received gifts and cash prices. Our sincere congratulations. Thank you! All chiefs of clubs received banners with Soshu Shigeru Oyama as well as tree internal publications issued for the 25th Anniversary: "Main events 1991-2016", "Sports competition results 1992-2016" and "OYAMA Polish Karate Federation. Regulations"